The weather was dreadful: torrential rain and very windy too. 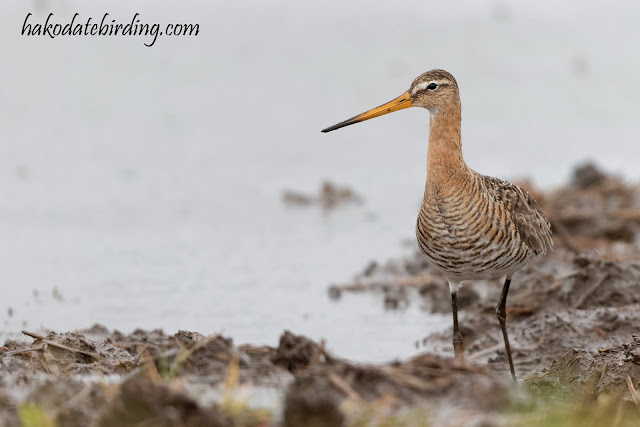 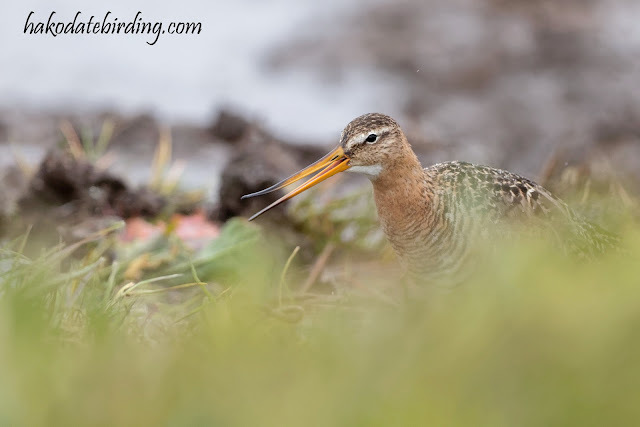 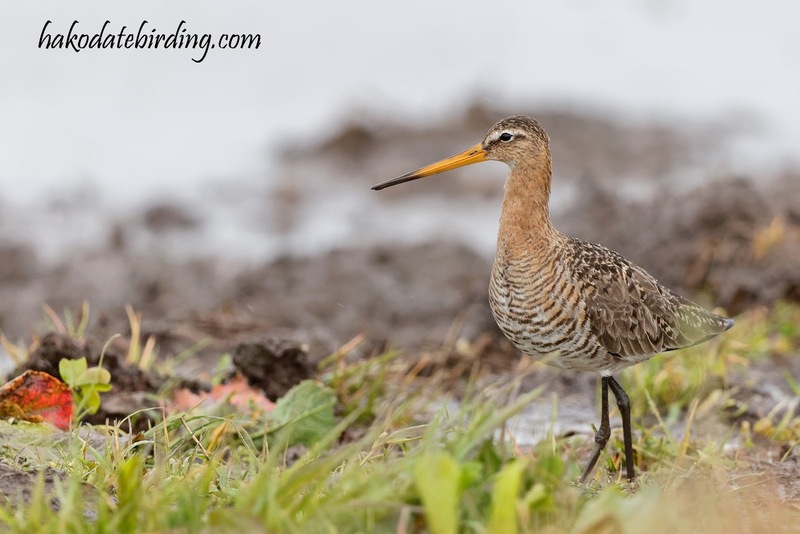 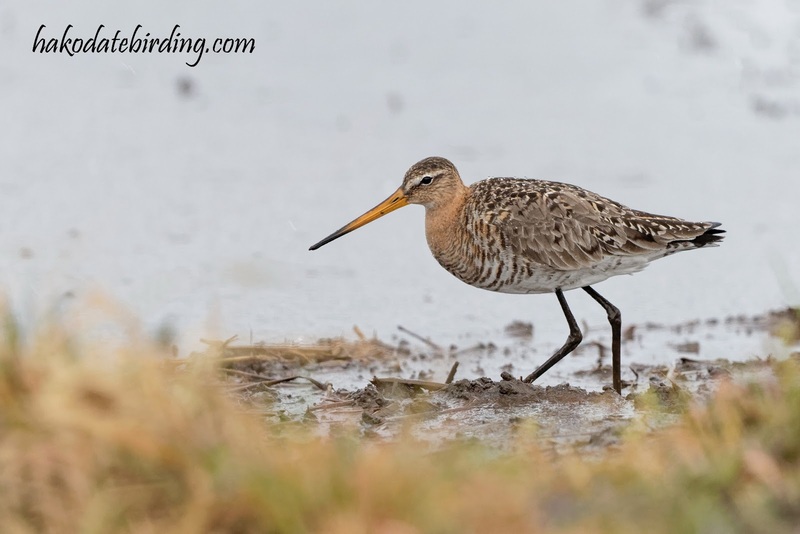 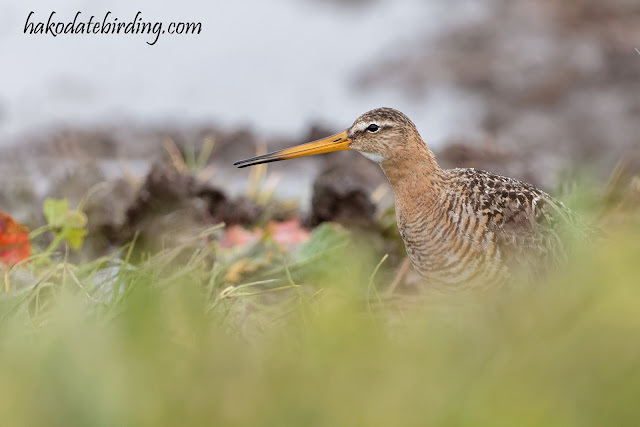 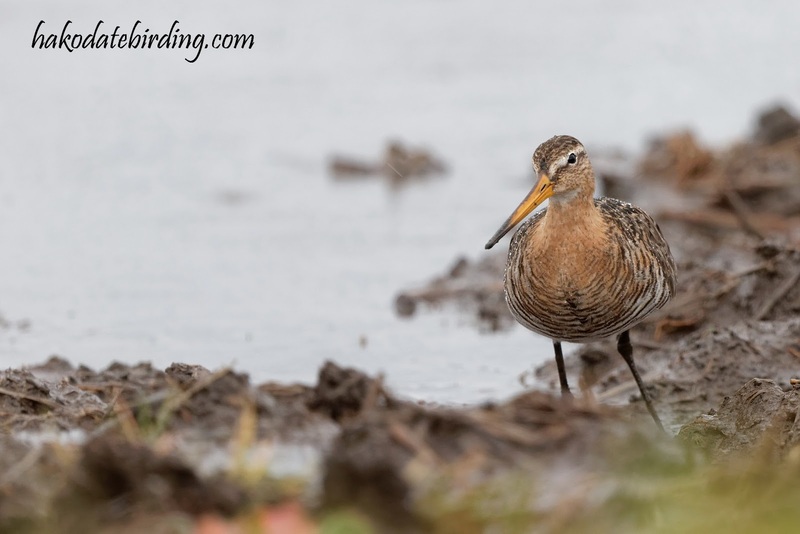 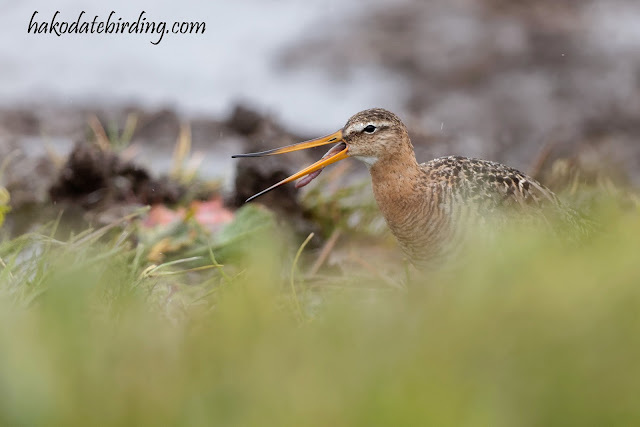 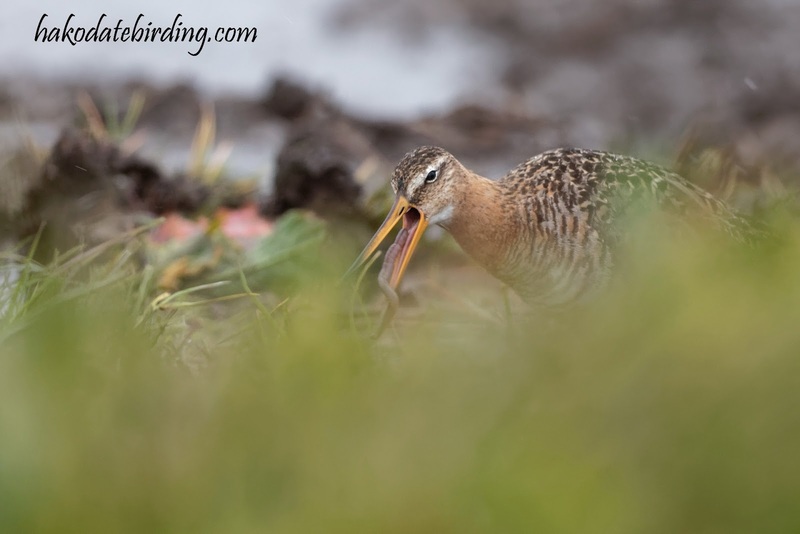 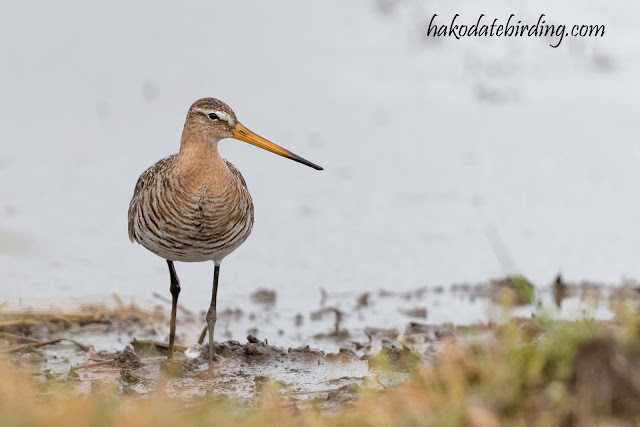 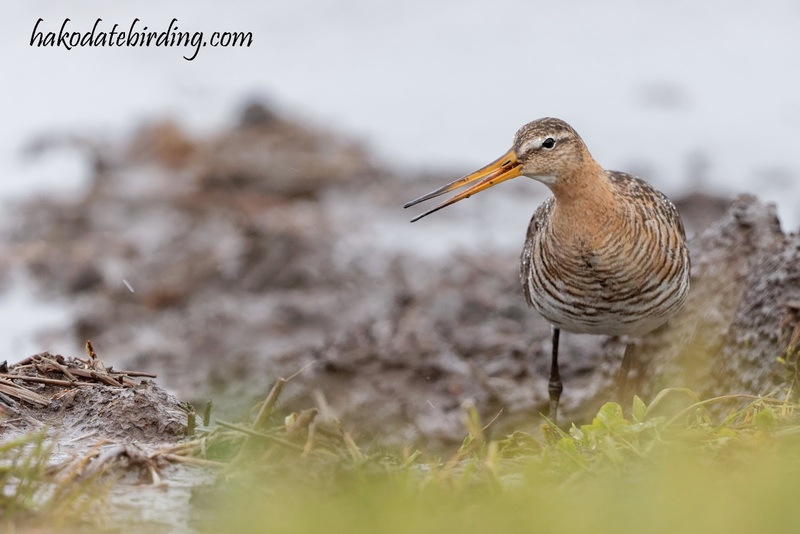 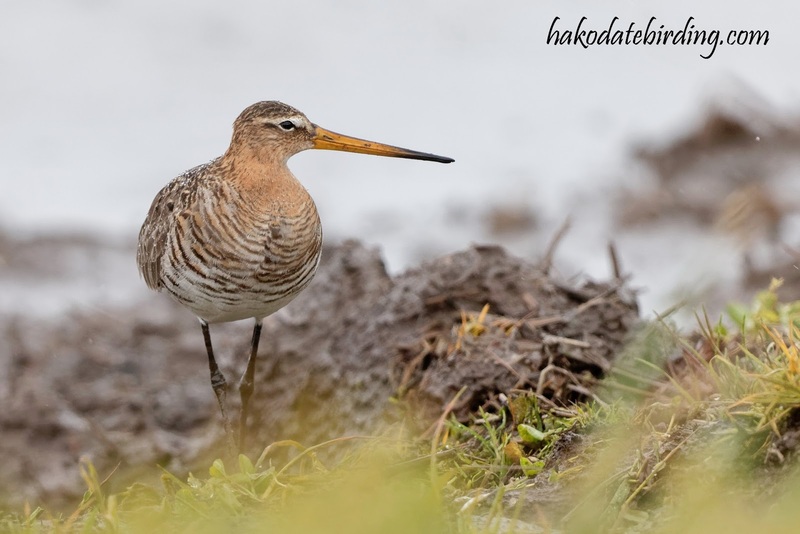 There was one Black-tailed Godwit, a lot scarcer in Japan than in the UK I'd say. 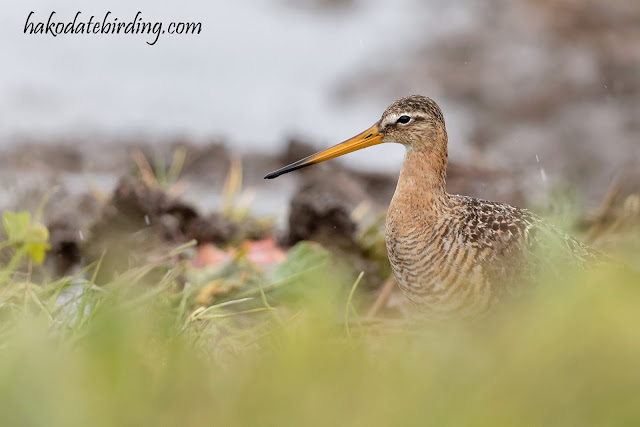 ISO 1600 and lens wide open with minimum shutter speeds for handholding out of the car window: these shots may look a bit mushy. 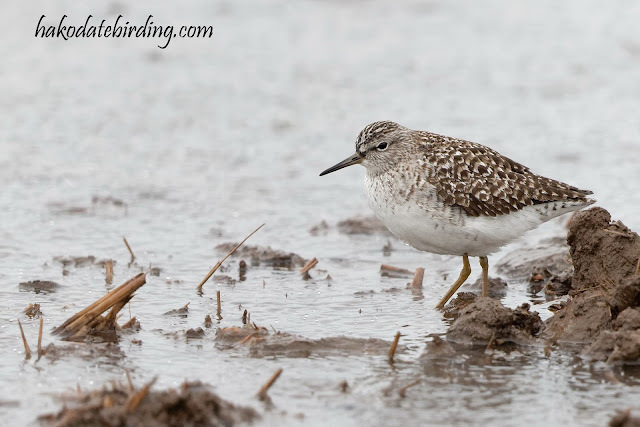 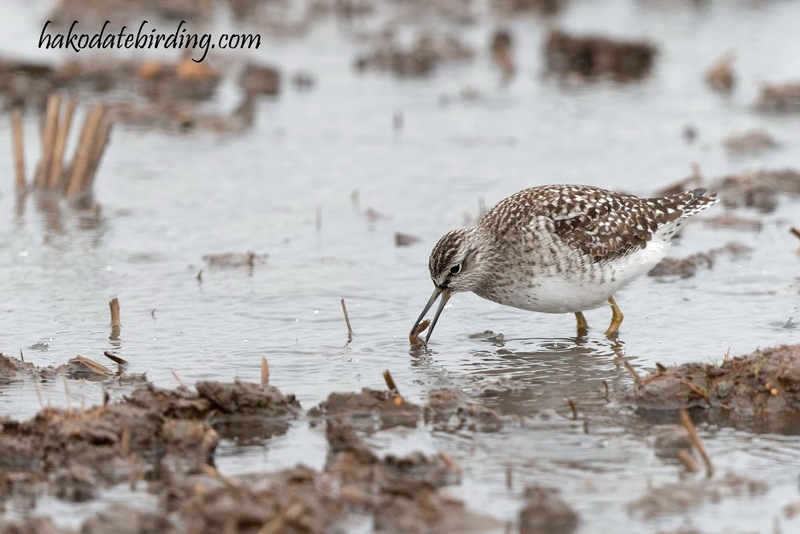 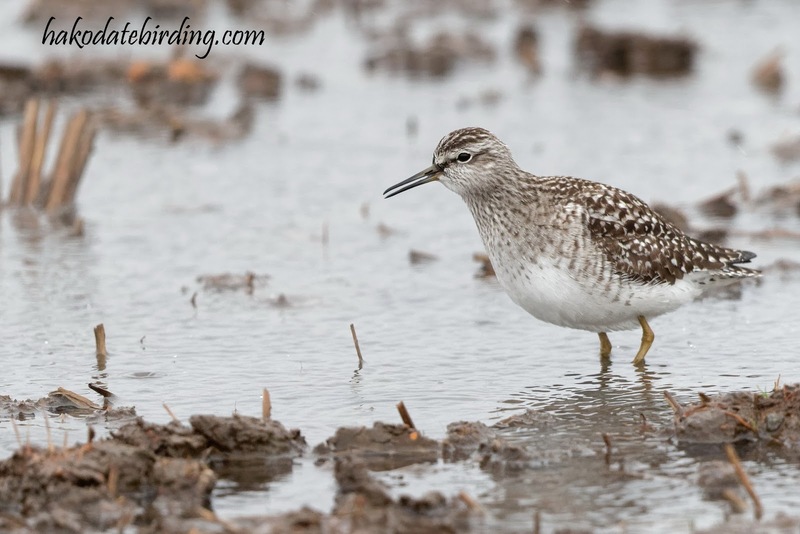 These are much commoner here than they are in the UK and they are a frequent spring visitor to the ricefields. 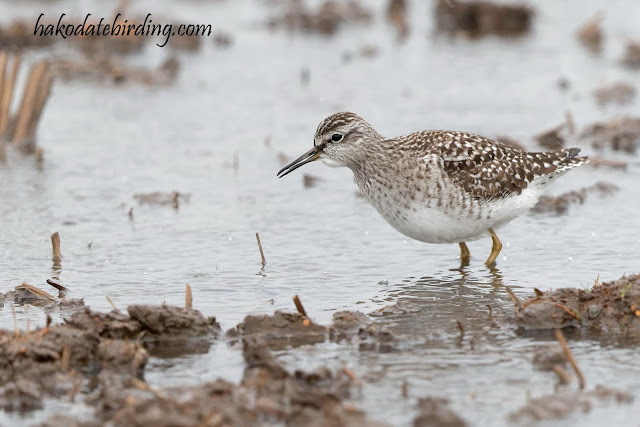 Hope I can see a few more freshwater waders in the padis: the window is quite short as the fields are irrigated only towards the latter end of the wader migration. 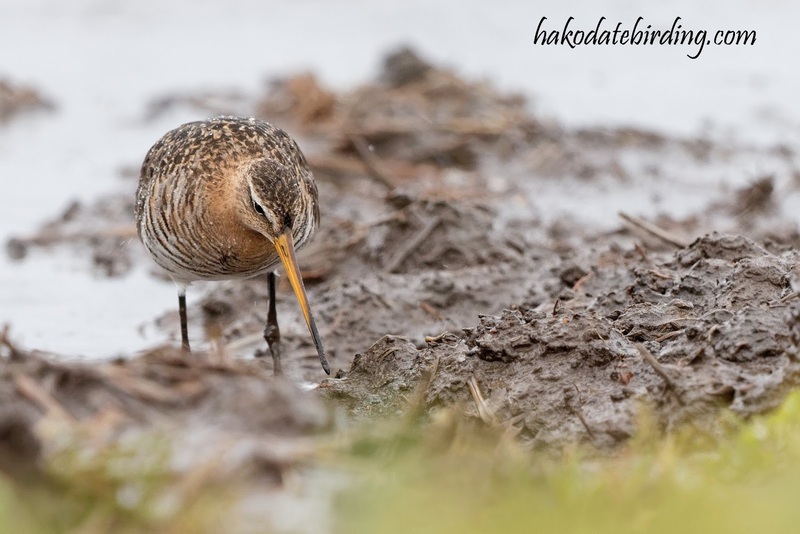 Given the conditions I think your photographs turned out remarkably well.